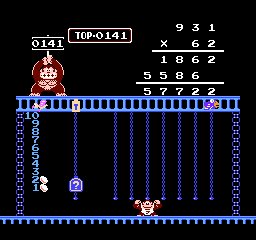 OverviewSolve math problems to receive points in this North American launch title for the NES. 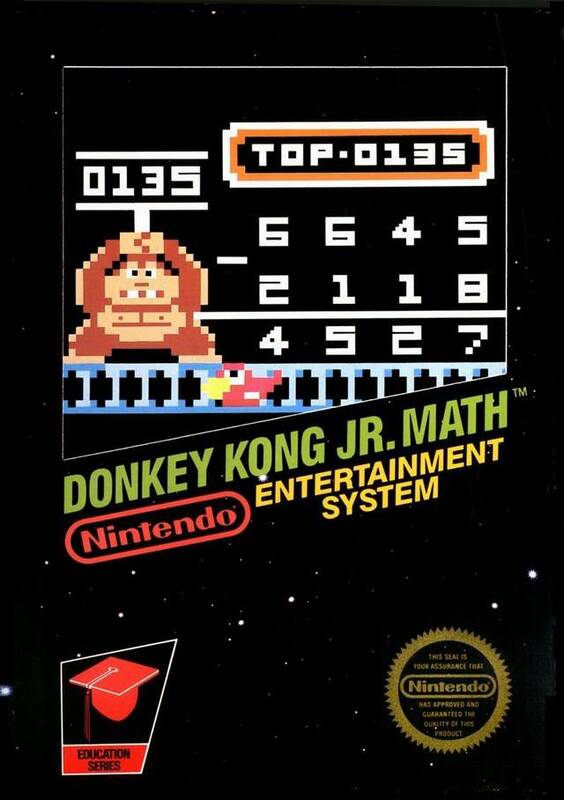 Donkey Kong Jr. 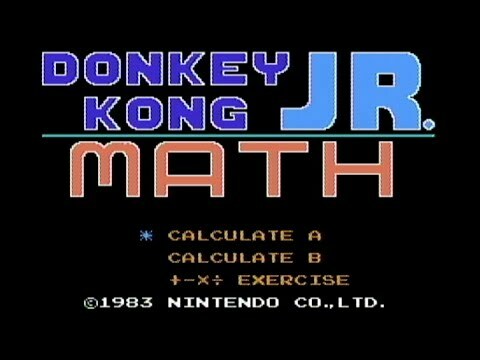 Math is an early Nintendo game that allows you to compete against another player using your skills at elementary mathematics and at moving Donkey Kong Jr. about without making him fall to his death. The +-x÷ Exercise tests your ability (and willingness) to use the chains and bird to correctly calculate problems in the long and slow grade-school method of writing them out. For long division and multiplication this can be something of a chore for those who do this in their heads. This is certainly not the most fun educational game I've played, being outclassed by some Atari 2600 educational games. Now you can add videos, screenshots, or other images (cover scans, disc scans, etc.) for Donkey Kong Jr. Math (USA, Europe) to Emuparadise. Do it now! If you haven't noticed yet, we have a retro game of the day feature (top-right of the screen) wherein we feature a new retro title every single day! Now, you can vote for your favorite games and allow them to have their moment of glory. Click on the button below to nominate Donkey Kong Jr. 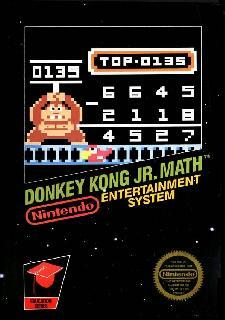 Math (USA, Europe) for Retro Game of the Day.